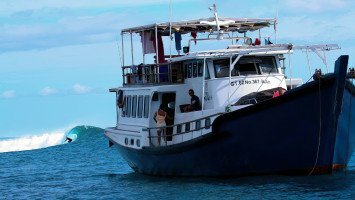 World class waves, coral reefs, rainforests, truly unique culture; the Mentawais Islands are always in contention for taking out first place for best surf destination in the world - Rightfully so! The region scattered off the western coast of Sumatra in Indonesia displays a selection of waves that is truly unmatched anywhere else in the world when it comes to variety, consistency, and perfection. While some of us wait a lifetime to slide into a crystal clear cave, surrounded by palm trees, and get spat out the back - it is the daily standard in the Ments. 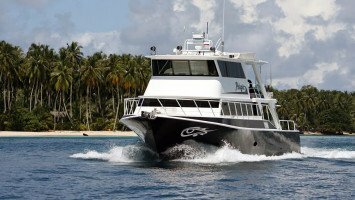 Throw the best, most reliable and most comfortable charter boats into the mix and you got yourself a combo that’s hard to beat. Imagine yourself waking up to the sound of pumping surf at daybreak and surf until the sun sets, only to repeat it all over again mañana at a new spot, far away from the crowds. The Mentawais have captured our hearts since 2005. 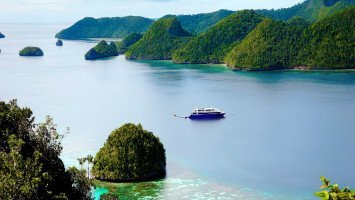 Most of our staff have spent extensive time traveling across the archipelago, calling surf charters our temporary homes on water. With us, it’s always personal. We cater to your needs and come up with the best alternatives that suit your needs. 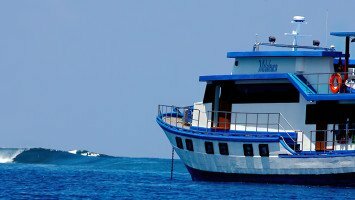 "...The surf guide was very, very good and found us perfect uncrowded waves (and the occasional margarita). It was an exceptional experience and highly recommended." 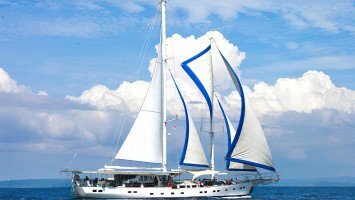 "...This trip is amazing and not cost so much! I love big waves, barrels and fun… 2 perfect weeks in blue water. Thank you captain Eric for best journey ever! :)"
"Waves, team, boat, crew, food,...everything was perfect. Before I came here I heard a lot about surfing in Mentawais and how good the waves are…Now I can say that everything they say is true, or even better. ..."
"...These guys know what they’re doing. Seriously… I expected an awesome trip, but this thing exceeded my expectations." 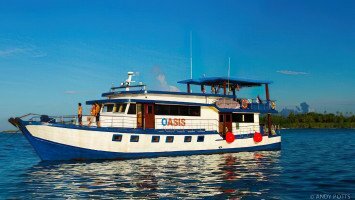 "...I was saving money for a long time to go on a trip to Mantawais, but it was totally worth it! Really cool boat, crew and other surfers." "Wooooow…with Moon Palikir you really get what you pay for. The trip was worth every cent. I definitely surfed the best waves and had a time of my life! Unforgettable!" 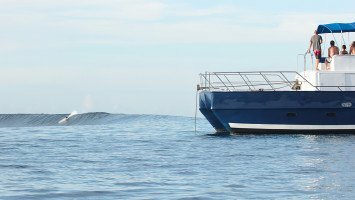 It’s safe to say that you are going to surf the best waves of your life if you decide to travel to the Mentawais. There is no other place in the world that hosts more world-class waves in such close proximity to each other. It’s a surfer’s playground ready to be explored and you can stay right in the middle of all the action. Wake up meters away from Hollow Tree, Maccaronis or Rifles and be the first out there when it pumps - day in day out. 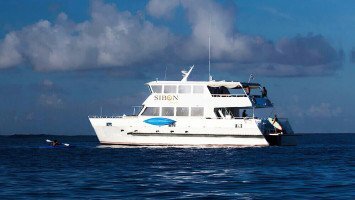 The beauty of vacationing on the surf charter is that you are always close to where the action happens. 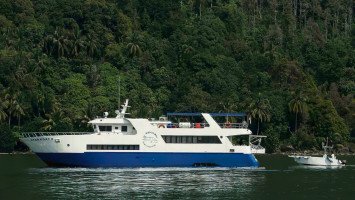 Criss-cross, zick-zack the region and explore the last frontiers of the tropical island paradise with one thought in mind - SCORE PERFECT WAVES. Time is precious and we want to help you maximize your time surfing pumping waves because there’s nothing worse than being stuck in one place waiting for the swell to hit or get completely skunked for waves. The Ments are a wave playground and your experienced guides and crew will take good care of you, making sure to you’ll have the time of your life in waves perfectly suited to your surfing level. It is worth checking out the “off-season” between November and February if heavy barrels or the heavy crowd factor isn’t really what you’re looking for. There are still plenty of fun waves around and you only share it with just a few other heads in the water. 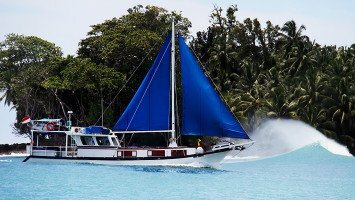 Mentawai surf charters are the real deal and offer all the amenities you can ask for. Chill out or have a snooze on the sundeck. Trade your surfboard for snorkel and mask and explore the beautiful world that’s underneath. Watch your favorite surf flick to get you pumped for the next surf sesh or explore the local nearby villages - the choice is yours. Living on a boat - at least is an awesome way to connect with other people you might never cross path with back in the concrete jungle so take the opportunity to make life-long friends while waiting for the tide to drop too! Welcome aboard everyone! 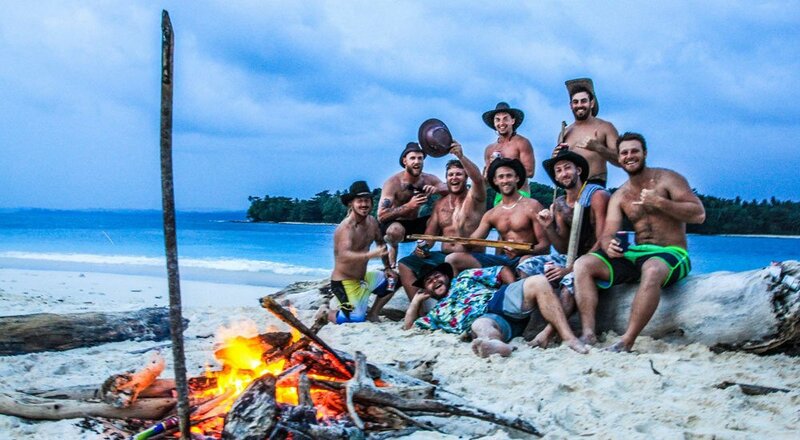 Young chargers, old-boy longboard crew, groups made up of surf addicts and non-surfers alike - the Mentawai surf charters are the perfect place to connect with other like-minded surfers and trade stories after a day of sharing epic days in paradise. 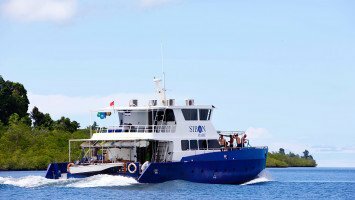 The special thing about boat trips is that there is never a dull moment, the spirits are sky high and the vibe on board is something you have to experience first hand to believe it. 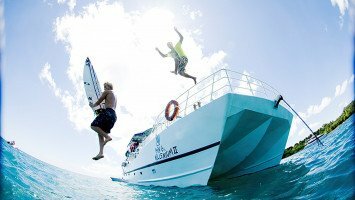 Boat trips are magical and a once in a lifetime bucket-list moment for many surf travelers. Plain and simple; you can’t really beat a private charter. 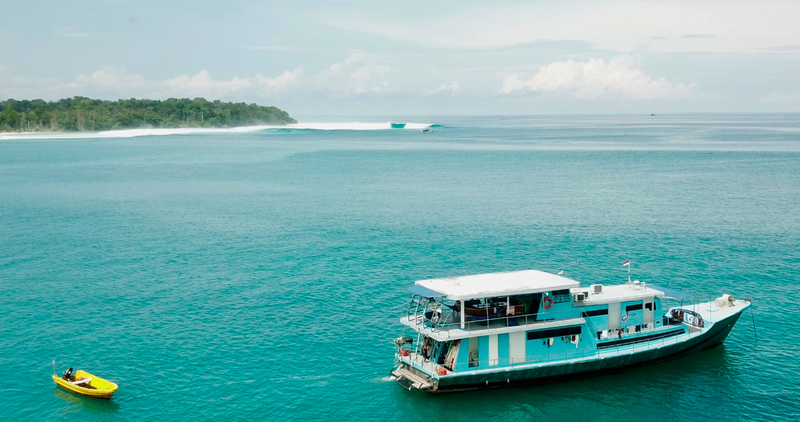 Imagine spending a few days on a luxury hotel on the water with no one else but your family or friends and cruise from spot to spot to surf epic waves. You are your own navigator. 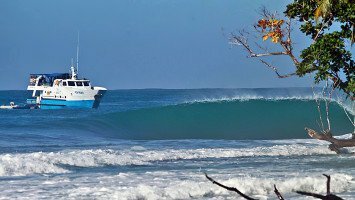 Private surf charters are the real deal because it enables you to go where you want to go - when you want to go, without having to check in with the rest of the crew on board.